My newest fabric collection with Robert Kaufman Fabrics, Betty’s Luncheonette, is named after my mom. My love of mid century begins with her and her mother. From costume jewelry to horn rimmed glasses and wool coats... wood paneling and glass hanging lamps and macrame for days… Pyrex and Tupperware cup sets and cherry cordials… craft supply shopping at Woolworth’s and grilled cheese sandwiches and ice cream floats at the luncheonette counter. It’s all tucked into this bright, juicy, burst of a collection. 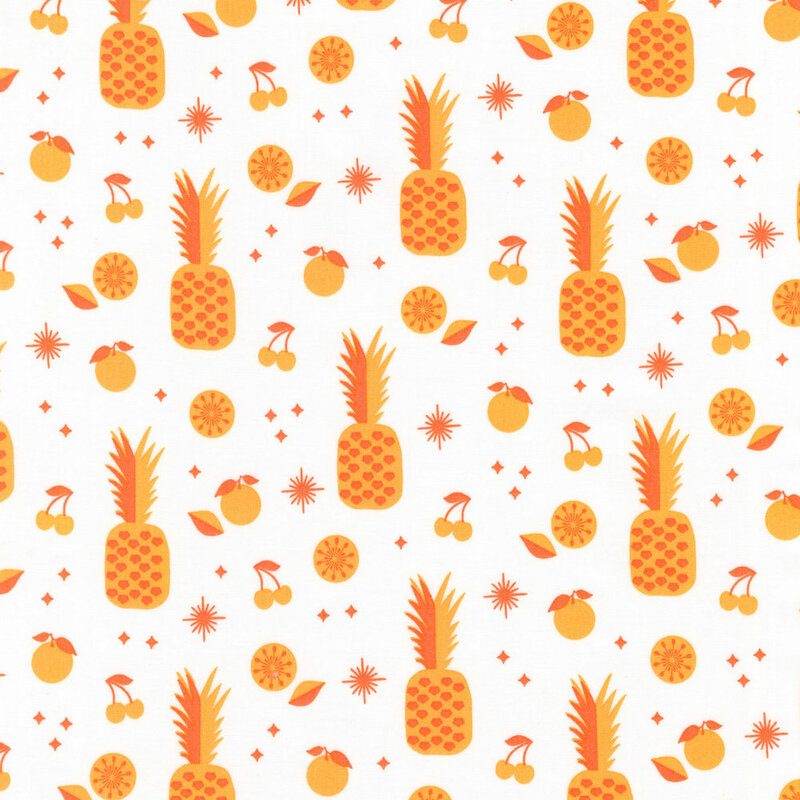 Precuts will be available as charm squares, ten squares, fat quarter bundle and roll ups. Violet Craft’s collection of 33 fabrics is manufactured by Robert Kaufman and will be released February 2019. Along with the fabric release, there are 4 new quilt patterns which highlight the entire collection and make vibrant, colorful quilts! 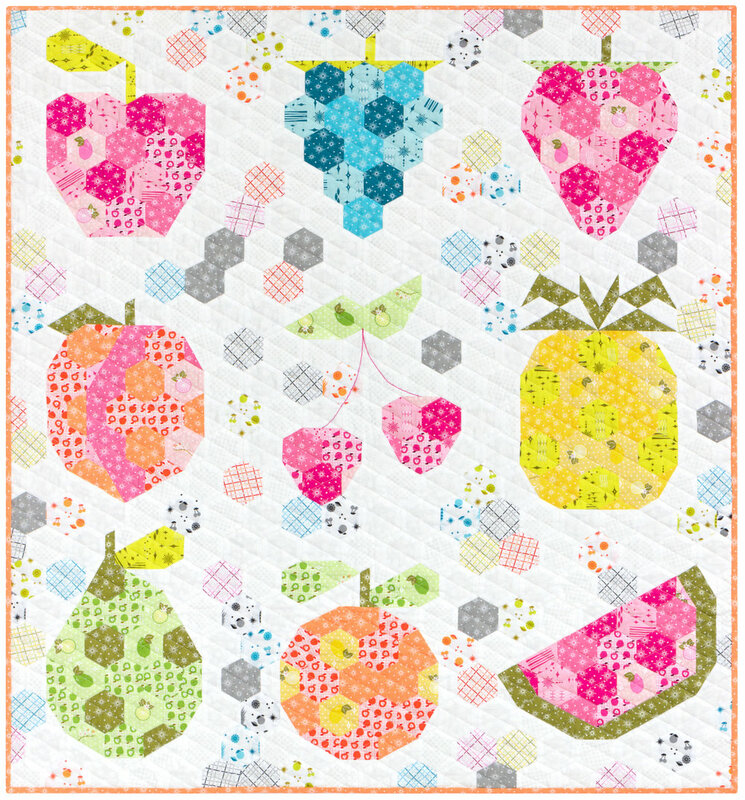 The first is the Fruit Juice quilt and is available as a quilt kit through Robert Kaufman. 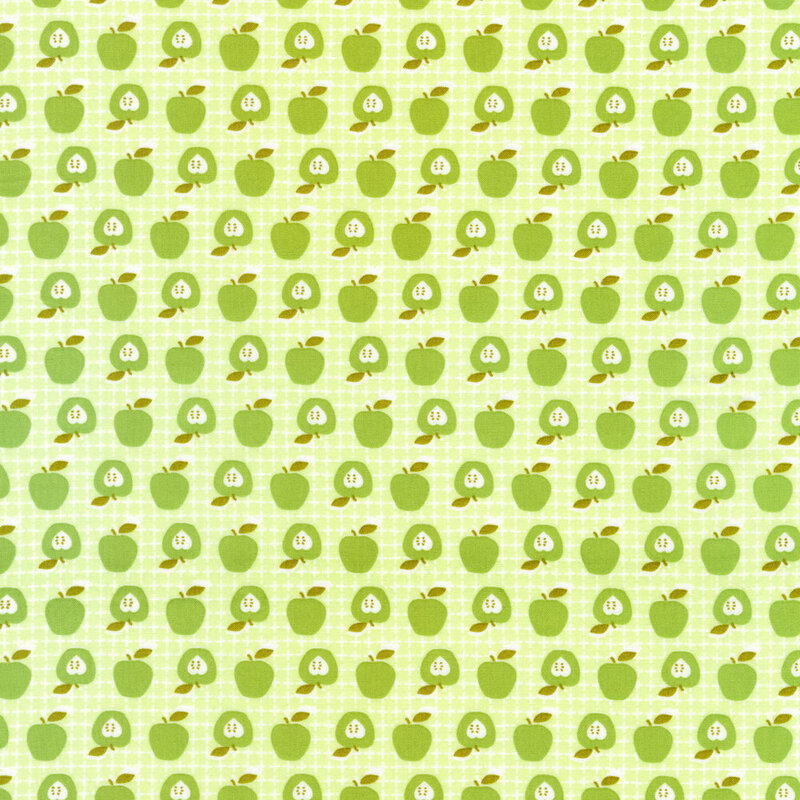 The Fruit Juice Quilt utilizes curved piecing using glue basting to inset circles. ~ Circle Templates are provided for transfer to template plastic. 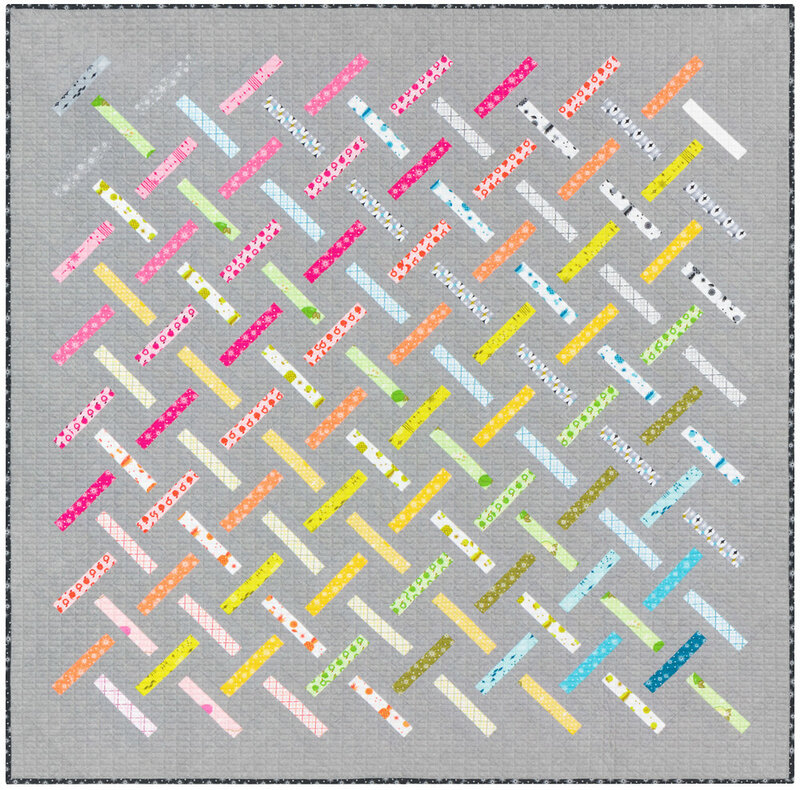 This fat quarter friendly pattern is intricate, but not difficult. The Fruit Basket Quilt is an English paper piecing project booklet containing 9 individual small projects perfect for wall hangings, pillows and more, or combined into a larger quilt design as shown on cover. ~ This pattern utilizes a unique way to use standard hexagon templates to make several different shapes. The size of your starting hexagons determine the finished size of your project. Pattern includes (100) 1.5" hexagon templates to get you started. Pattern includes instructions for adapting the project to different sized hexagon templates. The Citrus Grove Quilt utilizes quarter circle piecing. Although the shape is similar to the Drunkard's Path and the curved piecing technique is the same, the Citrus Grove blocks are trimmed, pieced and combined in a unique way. ~ Quarter Circle template patterns are provided for transfer to template plastic. The Raffia Weave Quilt is a fun way to use those cute pre-cut strip rolls. Instructions are included for foundation paper piecing -OR- traditional piecing: quilter's choice!